Keep your employees comfortable and safe with rubber floor mats. The rubber material will minimize leg fatigue, while the drainage holes ensure that liquids won't stay on the surface, creating a slip-free working environment. 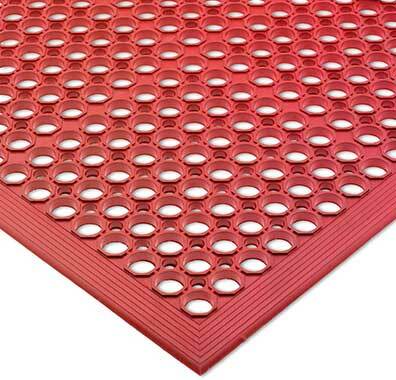 Additionally, this grease-proof floor mat features beveled edges which allow carts to easily move over them without getting stuck.